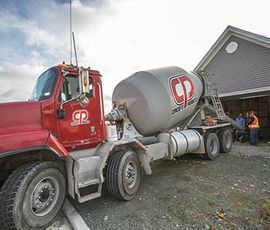 Concrete Products (CP) in St. John's is the oldest and largest ready mix concrete, masonry block, paving stone and retaining wall producer in Newfoundland. We have been dedicated to serving the concrete needs of our province for more than 70 years. 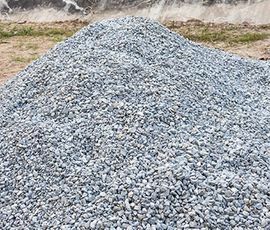 With a large modern fleet of ready mix trucks, stone slingers, concrete pump trucks, and a state-of-the-art block and paver production facility, we are well-equipped to continue this dedicated service. 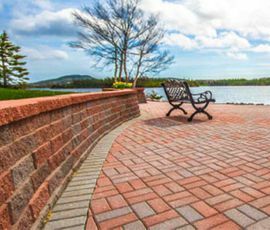 Concrete Products is a one-stop shop for all your hardscaping needs. 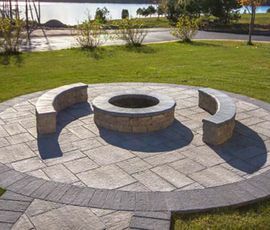 We have retaining walls and paving stones, fire pits and pillar kits, and all the accessories and installation tools you will need to beautify your landscape. Looking for stamped concrete? Coloured concrete? A poured concrete foundation? You have come to the right place. We also supply stone veneer and clay brick products through internationally recognized suppliers like Canyon Stone Canada Inc., Dutch Quality Stone and Brampton Brick. At Concrete Products, we have an experienced and knowledgeable team of professionals. No project is too big or small. Service, product quality and competitive pricing are the three promises we make to our customers. We are continually investing in our manufacturing equipment and learning the best practices of our industry. Contact us today for all of your concrete projects.